The two humanities professors will co-hold the chair for a three-year period running through June 30, 2015. The president of the University of California supports Presidential Chairs on each of the 10 UC campuses through an endowment established in 1981 by the UC Regents. “The Presidential Chair will focus on the intersections between gender and race and ethnicity,” said UCSC dean of humanities William Ladusaw. Ladusaw noted that the chairs will focus on examining feminist studies through both a gender and sexuality lens, and a race and ethnicity lens. The Presidential Chair provides funds to develop undergraduate and graduate curriculum, and to support research and intellectual life through seminars, colloquium, and other events. Funding support is $73,000 annually for three years. The co-chairs plan to initiate two collaborative and interdisciplinary courses: an “Introduction to Feminist Critical Race and Ethnic Studies” at the lower division level, and an associated upper division lecture class. A graduate seminar will also be added to the new curriculum, taught by a senior visiting scholar in Feminist Critical Race & Ethnic Studies. A research group--composed of graduate students and faculty--will additionally be active for all three years, working in association with a colloquia and lecture series. 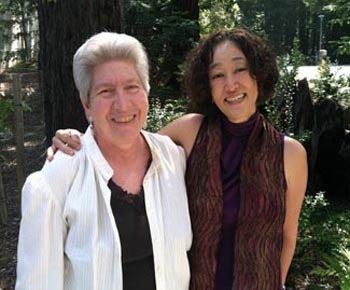 The Feminist Critical Race & Ethnic Studies Chair will draw upon the research strengths of UCSC’s faculty and the campus’s legacy of engaged scholarship and commitment to social justice. It is designed to foster understanding of the intertwined nature of histories of inequality, discrimination, gender and racial violence, and provide a foundation for understanding social movements for justice, equality, and representation.